This is a favorite old-timey tune from ... wait for it ... Evansiville Missouri. 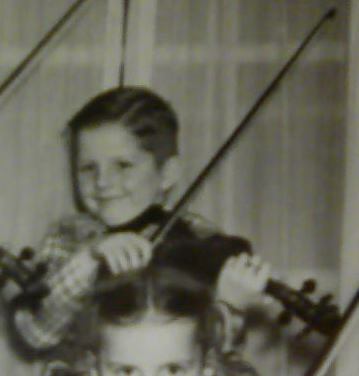 I originally learned it from Doug Chandler who I think got it from the Phil and Viviann Williams CD, Fiddling Missouri. I could only find one video of it on you tube so I had to do my own version to try and keep the tune going. Enjoy! Good Stuff > ROCKS > SWEET!!!!!!!!! > I really enjoyed that!!! Now,,, there's a toe tapper. Excellent fiddlinsteudel. I'm from Sikeston, Missouri, originally. Maybe I will compose some music and call it Sikeston Missouri. Awesome. That was great, @fiddlinsteudel. I really enjoy it. Love your style, double stops and especially the rhythm accents. Love it! Very nice played!! Thank You! I was wondering is there a way to have this forum email me when folks reply? Nice! Do it, would love it hear it. There are two icons beneath every forum which will help you keep track of the answers that you get to your posts. The Subscribe icon and the Watch icon. Subscribe will have notifications sent to your selected email address and watch will show you when you log into the forum which of your watches has had posts. @fiddlermanm thanks! I think I hit watch but not subscribe. Now I know!